Bottom scored for 3/4" expansion. Includes clear plastic tabs and blank inserts. 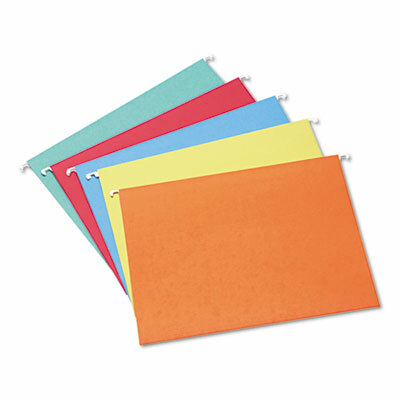 Eco-smart choice features coated "EZ” slide hangers that help files glide along file rails. Bottom scored for 3/4" expansion so the folder can grow along with your file. 11 pt. stock. Includes clear plastic tabs and blank inserts.